Home > Latest News > Congratulations to our competition winner! 06 Jun Congratulations to our competition winner! 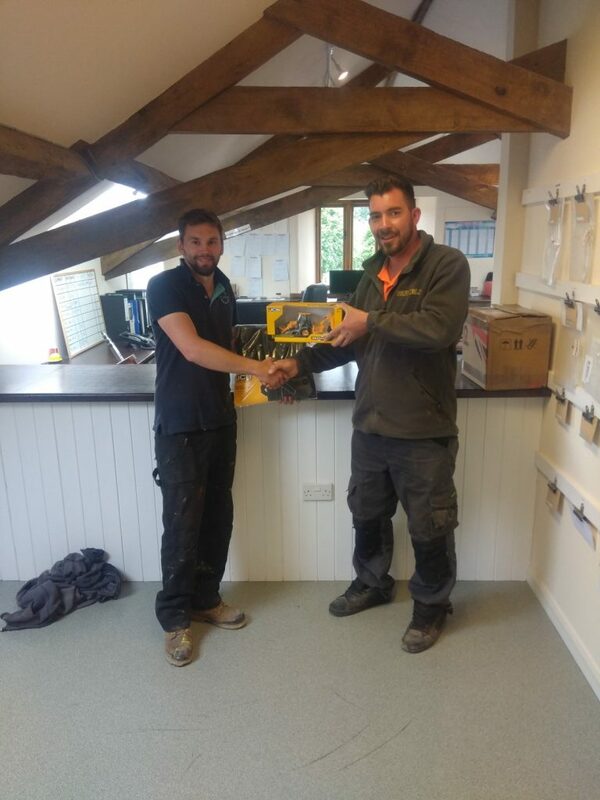 Congratulations to Dan Court who won our recent competition to win a JCB model and jacket, presented by Contracts Manager Martin Farwell.